Brazil is, considering area and population, the fifth biggest country in the world. It is the biggest and with its 200 Million inhabitants also the most populous state in South America. Although Brazil is partial advanced and well developed in parts of the big metropolitan cities like Rio de Janeiro, S.o Paulo or Curitiba, this status is not representative for the whole country. One third of Brazil’s population still lives below the poverty line and has essential problems for example with getting access to drinking water or a working health system. Ilha das Peças (“Island of Parts/Pieces”), an island located in the south of Brazil, at the Atlantic coast of the state Paran.. It is one example for a region that, under the given circumstances and in comparison to others, seems to be disadvantaged. Additionally, the island has to cope with lots of trash which gets picked up irregularly and therefore contaminates the soil. Besides fishery and day-tourism they do not have considerable job opportunities and only once a day a boat connection to the mainland city Paranagu. For this reason, Ecohabitare, a research program from PUCPR, which develops sustainable housing solutions, is executing projects on Ilha das Pe.as since 2012. The interdisciplinary team consists of around 70 professors and students. Ecohabitare identifies housing needs, supports community development and provides sustainable solutions that bring benefits to residents. When I got to know Ecohabitare program I became interested in its interdisciplinary and sustainable work and the projects on Ilha das Pe.as. My first impression was that the projects were not organized in one system. The first information I received only orally and collected information seemed to not exist. On my first visit on Ilha das Pe.as I discovered much potential considering different topics that could be opportunities to help the residents of the island to increase their living situation, which inspired and motivated me for my thesis. Apart from that, I was wondering about the effect or impact of the Ecohabitare work at the island, since the program was active on-site since four years already. I saw potential in the organization of the projects and even more in a combination of priority projects that increase the main grievances of the island. 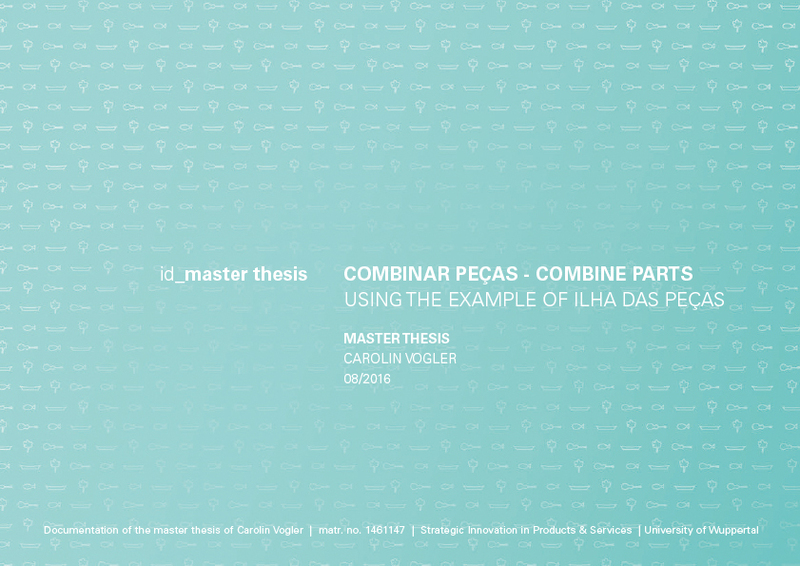 For this reason I started my Master Thesis “Combinar Peças – Combine Parts using the example of Ilha das Peças”, which initially had the intention to collect, structure and share the different project information and therefore find a strategy to combine the project parts to one big project and make it work more efficiently.